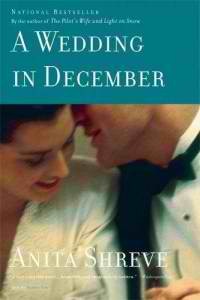 A Wedding in December is one of the most impressionistic character-based novels I have ever read, and incredibly engaging at that. The novel tastefully leads up to the details behind the tragedy that befell the deceased high school classmate and dabbles into romance between the adult characters at just the right moments. A Wedding in December also contains a novel within a novel on the subject of the Halifax Explosion, written by one of the core characters named Agnes. For those of you who are unfamiliar with the incident, the Halifax Explosion occurred in Nova Scotia during the winter of 1917 when a cargo ship loaded with explosives blew up in Halifax Harbour. Those who were watching from the windows of their homes were permanently blinded or injured from the window glass flying into their eyes at the time of the explosion. Agnes writes her own intriguing character-driven story about this incident during her stay at the inn where the wedding and reunion takes place. The ending of A Wedding in December is timed appropriately; in fact, it's one of the few novels in which you are ready for the book to end when it actually does end, without any accompanying negative feelings or thoughts. If you enjoyed A Wedding in December, you will also like reading Shreve's The Last Time They Met (2001), All He Ever Wanted (2003), and Where or When (1993). Click on the pictures below to read about Anita Shreve's novels in more detail on Amazon.com.